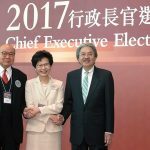 Carrie Lam sworn in as the new Hong Kong's leader. Carrie Lam sworn in as the new Hong Kong’s leader. 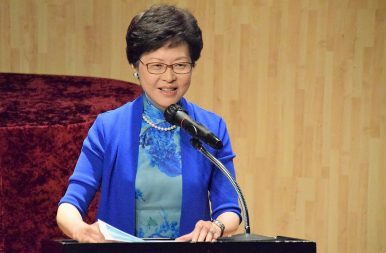 Since the first female Chief Executive Carrie Lam Cheng Yuet-ngor has token her office on July 1, her new administration has been showing a refreshingly new governance approach and common touch to the public eye. Unlike to previous July 1 march which is an annual protest rally on HKSAR Establishment Day, the turnout of this year saw a plunge of protesters, down from 110,000 people last year of Leung Chun-ying regime to merely 60,000, marking a 10-year low. 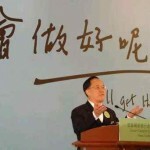 During the event of city tours, Lam rarely faced angry protectors. We noticed that Lam’s regime has a pretty decent start. To address public grievances, Lam are bold to take actions. 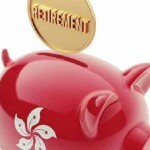 She vowed that she will overturn some controversial arrangements over abolition of the offsetting mechanism of Mandatory Provident Fund (MPF), a proposal pushed by her predecessor; She expressed her determination to restore the former practice of delivering the annual Policy Address in October instead of January; She showed confidence in being able to get her plan for HK$5 billion extra annual spending on the education sector passed through the Legco before August. However, the real challenges are yet to come. The the so-called co-location arrangements at the Hong Kong terminal of the Guangzhou-Shenzhen-Hong Kong Express Rail Link is a highly delicate, complicated and politically sensitive issue. And then there are the problems of housing shortages and skyrocketing property prices. We are glad to notice that Lam is not afraid of tackling tough and controversial issues head-on, it is our sincere hope that the new administration can stay the course in promoting dialogue with different sectors of society in order to heal the wounds in society.